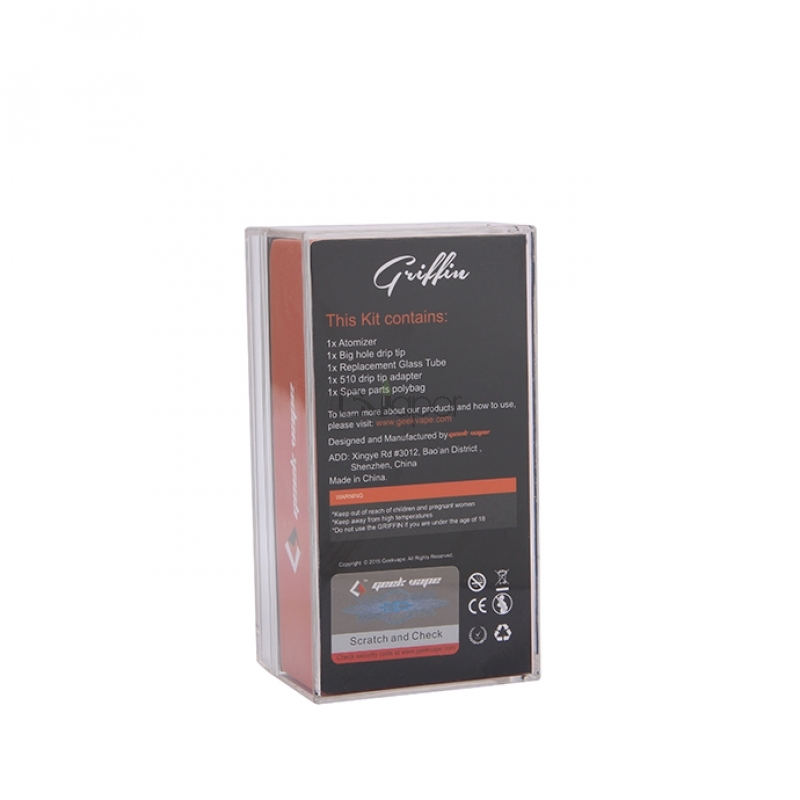 The Griffin RTA tank features 3.5ml capacity and top-filling design. It is very convenient to use and refill e-liquid. It with two post velocity-style deck and biggest installation platform. 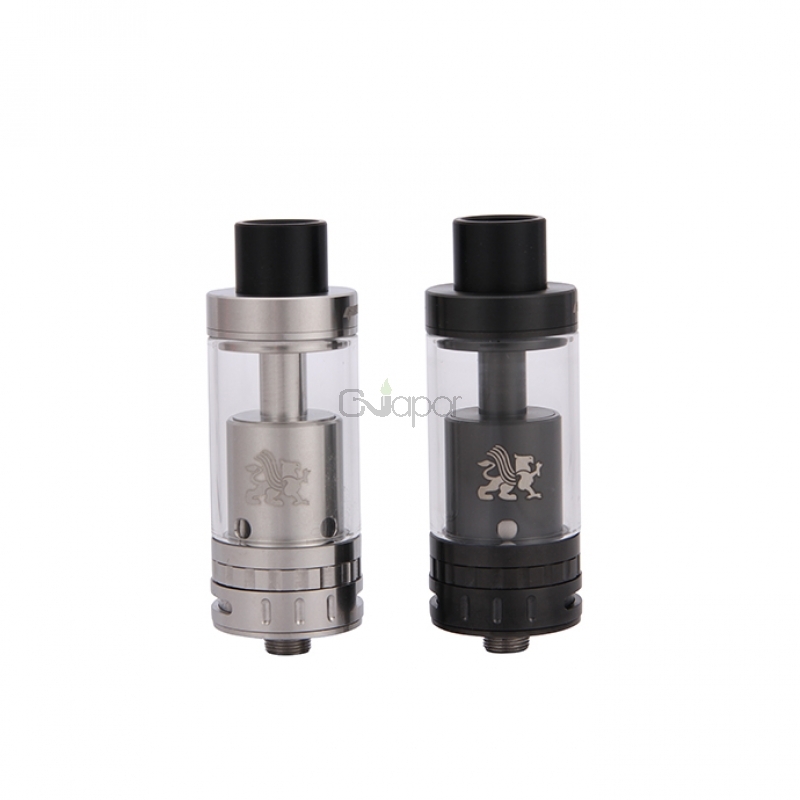 This RTA tank can produce excellent flavour and the big holes can provide huge vapor. Buhar olsun aroma olsun tek kelimeyle mükemmel. Aldığım günden bu yana tek kullandığım atomizer diyebilirim. Got both ss and black version. If you are into high wattages and massive air flow, this atomizer is for you. It can also work on lower wattages. Single coil option is a great + for me. Very good atomizer. Great taste, large deck, easy to build! Pros are: huge velocity-style build deck with big post holes, juice-flow control, huge vapor and flavor production, great drip-tip, overall quality is very nice. This is my favourite RTA so far, great design and build quality, could not find any cons, maybe a 3.5 ml capacity could be a con for someone, but not for me for sure. Отличный бак, вкуса на клэптонах из 0.4 нихрома поверх 0.2 канталом на 2.4мм оправу 6 витков,просто море,как у дрипки,пара вагон!Качество исполнения отличное,резьбы четкие,дополнительное стекло в комплекте,тяга невероятно легкая,удобство укладки ваты тоже на высоте,влезают самые невероятные коилы. Одним словом: СУПЕР. Спасибо cvapor.com, такого удовольствия от вэйпинга давно не получал.